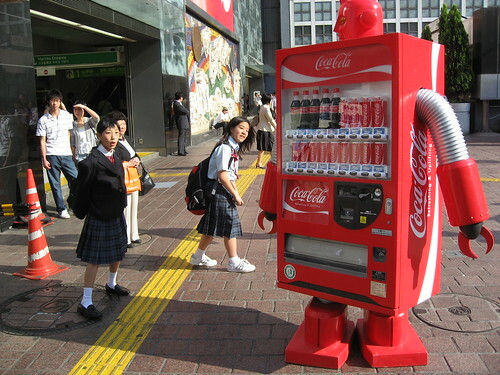 Vending Machine RED—a robot that takes the form of a juice vending machine—appeared one day in the middle of town. He’s not a superhero trying to save the world, he just walks around town aimlessly. Go, Vending Machine RED!